At least one person was injured in a serious crash that snarled traffic on Interstate 5 through Camp Pendleton Saturday. The crash was first reported just before 2:30 p.m.
A witness told the California Highway Patrol that a white SUV and a gray sedan were possibly racing on northbound I-5 near Vista Point when the sedan flipped over across the median and into southbound lanes. The driver of the SUV stopped in the center divider and ran over to the overturned sedan, a CHP incident log said. 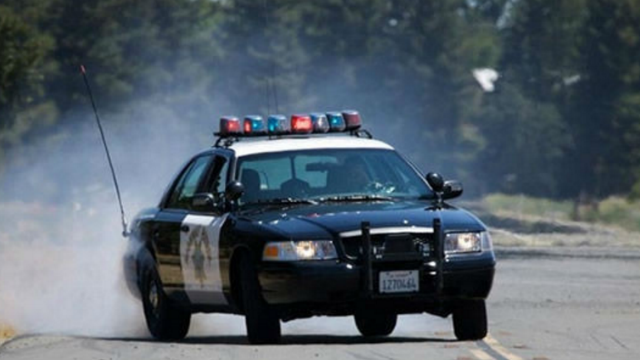 A woman in the sedan was injured but breathing, according to the CHP. It’s unclear if any other vehicles were involved in the crash. The three right lanes of southbound I-5 were blocked by debris from the crash, leaving only the fast lane open. All lanes of northbound I-5 were open.